This is just a quick post to tell you about seniors. How do I create a senior? Fun- lots of things including tv and gardening! If you have completed the life dreams and legacies quest then when your seniors life cycle is up, they will pass into the afterlife. What hobbies can seniors do? Pros: Have different hobbies to choose from, can bake and garden. Cons: They can’t work, they only have a few clothes to choose from and they all look the same! I don’t see why seniors can’t have dyed hair! 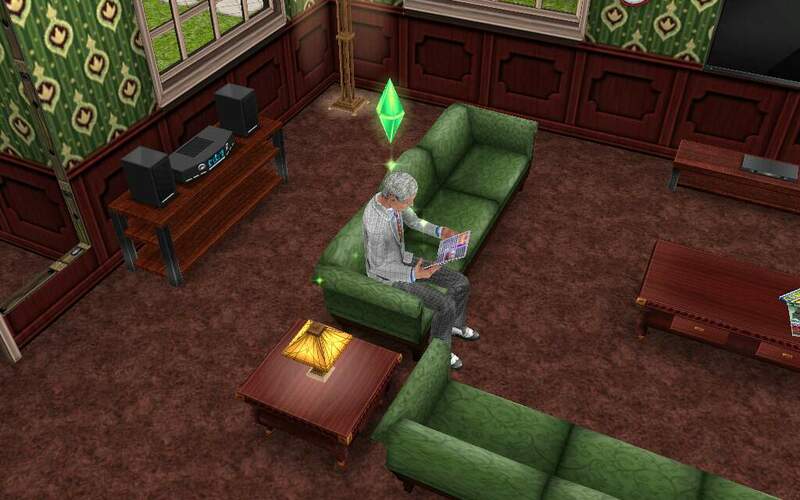 Seniors can interact with sims of all ages! Read the Relationships post for more details. And they can play bingo! But I don’t think they win very often. Not in my experience, anyway. I don’t understand why some of the hobbies go away, seriously! The people I know who in the real world who do wood work are all seniors. It’s getting to the point that I hate seniors, they’re useless. Can you just NOT complete the seniors quest or the life dreams and legacies quest? Other than it sitting in your to-do list, any other problem with just ignoring the quests? What’s the point of the wedding cake? I’m just starting Seniors, and I’m thinking about not completing the last quest. I know it will sit in my to-do list but I don’t really care. I was still able to do the Christmas and Red and Long hair quest though. Maybe I never have to complete it?